Snow begins to fall in October and is often deep by Thanksgiving. The camp is only accessible by snowshoe or cross-country ski. When the snow begins to melt in late April through May; the camp, as well as access to the camp, becomes extremely muddy and difficult to access. 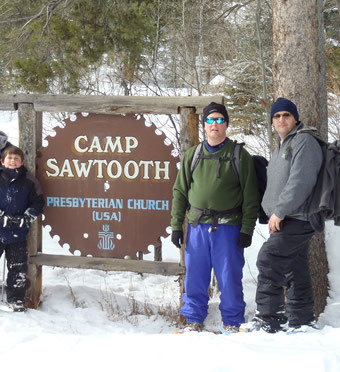 Every effort should be made to submit your group's reservation request to the Camp Sawtooth office as soon as possible. Presbyterian groups may reserve open time slots on a first come, first served basis. Non-Presbyterian Groups who rented the camp the year before may be given first priority if not already reserved by a Presbyterian group. If a Presbyterian group usurped a Non-Presbyterian group's date, the Non-Presbyterian group has first priority in selecting open dates.